We all know ASOS is pretty great when you want fast, affordable fashion. From its A/W 19 trend pieces to the spring dress we're already shopping, the e-tailer is pretty much our first stop on our shopping hit list. But have you ever perused ASOS's beauty aisles? Because as well as stocking its own Design range, the beauty shelves are also chock-full of some of our favourite cult brands. 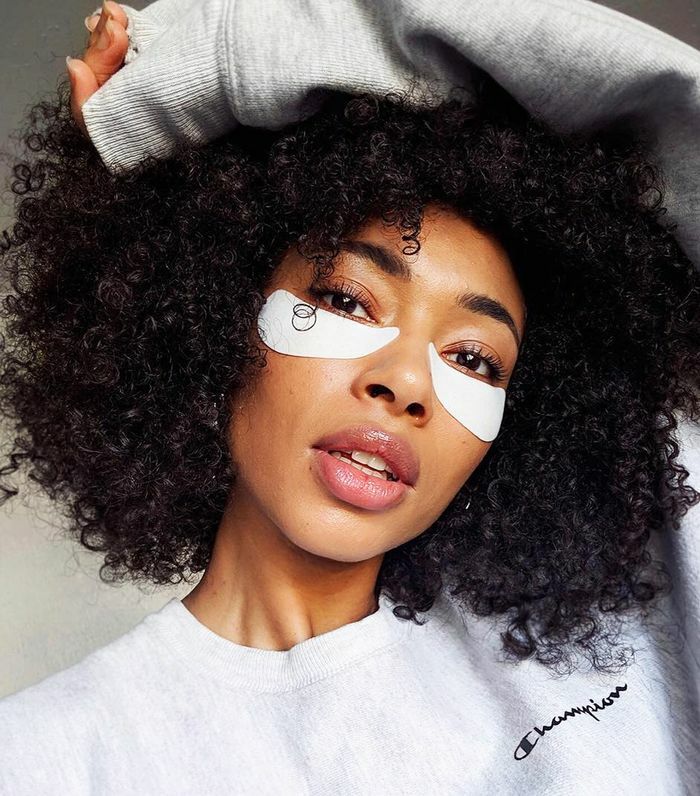 If you've been having one too many late nights recently, these under-eye patches soothe and de-puff in just 10 minutes. Arguably the best concealer in the business. Nars's Radiant Creamy Concealer hides a multitude of sins. There's a reason this hair mask went viral on Instagram, and it's not the pink-and-green packaging. No, this coconut-and-fig hair masque is just that good. Silky hair in just one use. Loved backstage at fashion week, this three-in-one lotion is the epitome of French beauty. It's enriched with essential fatty acids and vitamins to nourish areas of dryness and protect skin from environmental aggressors. Everyone knows (and loves) MAC's cult Ruby Woo lipstick, which is why this classic blue-red has made its way to the top of our repeat buy list. MAC's Strobe Cream should just be renamed "good skin in a tube." The light and creamy texture leaves a sheen on the skin that makes it looks like you're bathing in really flattering sunlight all the time. Haven't tried it? ASOS offers a mini version, too. The secret to Lucy Williams's loose waves? Jen Atkin's cult Ouai Wave Spray. Need we say more? Didn't think so. Even the most anti–fake tanners can get on board with Vita Liberata's Body Blur. The mousse-like cream offers a golden glow like no other whilst hiding imperfections. It's like a foundation for your body (or just a really good filter). Essie's Ballet Slippers might be the shade favoured by the royals, but Not Just A Pretty Face is ours. Its creamy pink hue is ever so slightly more visible and still chic enough for every day. The fake tan for people who hate fake tan. This gives skin a subtle glow overnight whilst never staining your bedsheets. Any beauty editor will tell you there are three must-haves when it comes to great skin: retinol, SPF and vitamin C. Lixir's Vitamin C Paste not only brightens and illuminates skin, but its free-radical fighting formula also helps to protect your skin from pollutants. Clever. Now onto retinoid, the latest buzzword in beauty. In a nutshell, it speeds up your skin's turnover, tackles fine lines, clears breakouts and reveals a brighter complexion underneath. Not only is The Ordinary's retinoid seriously affordable, but it offers the same skin-brightening benefits as retinol with a lower risk of irritation. An oldie but a goodie, Clinique's cult Dramatically Different Moisturiser has been updated with this fresher, lighter formula. This jelly is perfect for anyone with an oily or dehydrated complexion.